Secret Celebrity’s Sweet Tart Featured in the August 2016 issue of Footwear Plus! Dawn Lucie, a California blogger who writes “Fashion Should be Fun,” recently tried our Secret Celebrity Cookie Jar sandals. All we can say is “Wow!” The coral color really pops and makes a very stylish yet casual summer outfit. Dawn also walked around town in a pair of Soft Comfort Cross Lane sandals in black. We think both pair of sandals look terrific on her. Recently I was introduced to a new brand, Camtrade. They make stylish, affordable comfortable shoes! First I tried out these Secret Celebrity Cookie Jar wedge sandal in a fun bright coral color! I kept it simple with denim on denim with bold pops of color in my accessories. (Shopping links at the end of the post.) I took my eye-catching new sandals downtown for a nice long walk. Not only were they super comfortable but I got lots of compliments on them as well! I also tried Camtrade’s Soft Comfort Cross Lane sandals in black. These are great go anywhere basics and comfortable enough to wear all day teaching once school starts again (for us, August 8th, so before you know it). Both pairs are as comfy as the more expensive comfort brands for a fraction of the price. I went with a simple black and white look. Summer is in our grasp, school is out (for us anyway), the weather has been lovely, vacation on the horizon and my feet have been seeing nothing but sandals these days. Time to get that pedicure girls and grab a few pairs of sandals that will make your feet sing and your heart swell for all you have planned in the coming summer days. After weeks of reading about “my new favorite sandals” and “the most comfortable sandals” I’m sharing with you these cute pink sandals for summer from Secret Celebrity. These pink sandals are called the Cookie Jar Wedge Sandal, featuring a two band adjustable slide so you can get them off and on with ease, arch support, a cork wedge for comfort & come in three different colors. I adore the pink because they easily add a pop of color to any outfit and color is fun for spring & summer. You can purchase these through Amazon or the Camtrade website. As for styling pink sandals, I’ve learned to find that most women like their basics so these are a great add. Grab your favorite skinny jeans (or shorts with summer coming) and a basic black, white, grey, navy.. top and add a few accessories for a cute and comfortable look for every day. If you’re a momma on the go like me – these Cookie Jar Wedge pink sandals are ideal.. creating all day comfort and style. Once again styling with your go-to basics and either an over-sized handbag. 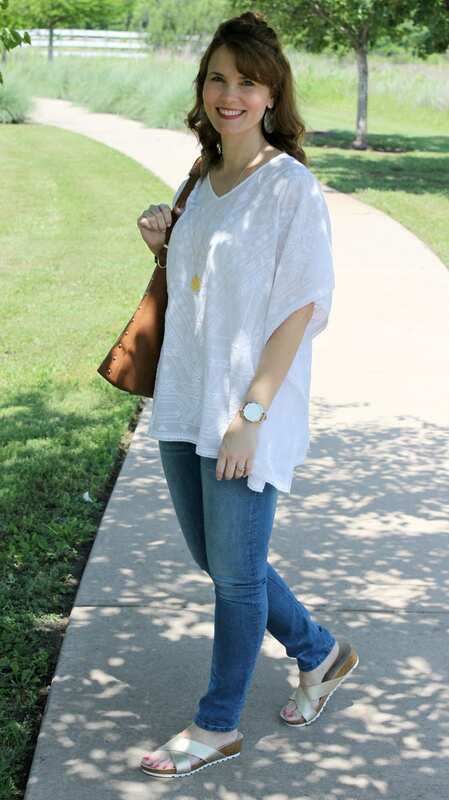 Three of my fashionable blogging friends are wearing Camtrade sandals… Shannon from The Simple Moms is sharing how to wear these exact pink ones with a cute maxi dress & Ellen of That Chic Mom is rocking them out a great pair of jeans and summer sweater. Julie of Mom Fabulous is also wearing Camtrade but went with the gladiator sandal that I really want to add to my collection. You can get these Secret Celebrity sandals for a deal, visit Amazon or Camtrade to make your purchase today. The Fashion Blogs Love Cookie Time Sandals! We love seeing the different ways our bloggers wear our Cookie Time sandals. After all, fashion is all about creativity and Chelsea Davis, editor of “She Said, He Said Fashion Blog,” certainly proves that combining a soft floral dress with boho cork wedge sandals look amazing together. Chelsea Davis, editor of “She Said He Said Fashion Blog,” paired Cookie Time Sandals with a feminine floral dress. The end result: absolutely stunning! Today I am wearing my favorite pieces for spring, somethings are old and one is new. My trusty floral romper-last seen here, fringe VIP and these secret celebrity cookie time wedge sandals. This black floral romper is a piece I wear often. I like to wear strappy heels for dinner and casual sandals during the day. It has bell sleeves with a plunging neckline, I kept the jewelry to a minimum and let my purse and shoes do the talking. These sandals are new and are REALLY comfortable. They are a bit heavier than I expected but the cork wedge hugs my foot and the black woven leather is the ultimate boho style for spring. My mom and I are the same shoe size and she has already borrowed these when she last came over :). I love when older pieces mix with new, maximizing the use of loved pieces. This spring it has been unseasonably cool and that has created some fashion dilemmas. It seems like every outfit needs an extra layer to keep me warm but that doesn’t mean I can’t bring out my cute sandals and show off my pedicured toes! I recently discovered Secret Celebrity shoes and decided to give them a try. The first shoe that caught my eye is these stunning coral sandals. I love the bright and bold color and they simplicity of the classic deign makes them super versatile. This past weekend it was cold I mean really cold, we hit the 40’s. It finally came back up a bit and was high 50’s low 60’s which is perfect weather for a great sweater and some distressed jeans. Since the sweater is basic it needed some fun shoes. The Secret Celebrity Cookie Jar Wedge in coral is the perfect combination of comfort and style PLUS it is really comfortable. These also come in tan and black and they are super reasonable at $39.99 plus free shipping for Prime members. Gold is my go to accent this spring and of course that means gold sandals. If you need comfort but still want style check out the Secret Celebrity Cookie Crumbles Wedge Sandal, available in gold and black these are just $39.99 shipped free with Amazon Prime. I love these paired with a maxi dress and adding a jean jacket for warmth and style. AS you can see these shoes offer a cork sole and comfortable footbed making them ideal for buys moms who want style and comfort! Soft Comfort Fall 2016 Collection is More Comfortable Than Ever! Any consumer who has experienced uncomfortable shoes for an extended period of time is likely to say “never again!”The reality is that today’s consumer desires shoes that look good and feel good – all day long. Soft Comfort® footwear, a relatively new entry into the women’s footwear market from Camtrade LLC, is now showcasing its Soft Comfort Fall 2016 collection. The freshly-updated and sporty-chic shoes place a significant emphasis on comfort, utiliizng unique memory foam features. Reflecting a sporty & casual “country road” weekend feel, the Fall Soft Comfort® Collection revolves around super-soft relaxation benefits. Both the memory foam in the sock lining, as well as the padded collars with elasticized goring, contributes to all-day comfort. In effect, the full length foam insoles contour to the foot’s pressure points, delivering true flexibility, cushioning, and of course, a comfortable footwear experience. In terms of design options, styles run the gamut from stylish casuals and flats to ‘chic’ looking boots and booties. Look for unique embellishments such as braiding, buckles and stretch panels. Colors include the season’s most popular vintage hues: dark brown, bordeaux, taupe and not-so-basic black. The collection retails from $49 to $69. Secret Celebrity Shoes Sold on Amazon! Looks like Secret Celebrity shoes are no longer a secret! The shoes are now sold on Amazon.com, one of the largest and most successful e-commerce companies in the world. This partnership paves the way for our retail distribution of both the Secret Celebrity and Soft Comfort collections. For Spring 2016, Amazon is featuring Camtrade’s chic “Cookie” line: fashion footbed sandals that are both stylish and comfortable. The collection runs the gamut from chic gladiator wedges to intricate woven leather sandals with ankle strap buckles to timeless cross band slip-ons. In terms of colors, black is updated with glistening studs, shades of coral reflect the very essence of spring and summer, and metallic gold and silver add contemporary style. With retail prices ranging from $39.99 to $59.99, it’s easy to indulge in one’s passion for trendy footwear. To view Secret Celebrity on Amazon – or even better – to purchase a pair, simply go to www.amazon.com and type in Camtrade, Secret Celebrity or click on Amazon Camtrade. No doubt about it, the word is out about Camtrade!